This document has been developed with support from the National Science Foundation's Information Technology Research Program under Cooperative Agreement AST0122449 with The Johns Hopkins University, from the UK Particle Physics and Astronomy Research Council (PPARC), from the European Commission's (EC) Sixth Framework Programme via the Optical Infrared Coordination Network (OPTICON), and from EC's Seventh Framework Programme via its eInfrastructure Science Repositories initiative. XML document validation is a software process that checks that an XML document is not only well-formed XML but also conforms to the syntax rules defined by the applicable schema. Typically, when the schema is defined by one or more XML Schema [schema] documents (see next section), validation refers to checking for conformance to the syntax described in those Schema documents. This document describes additional syntax constraints that cannot be enforced solely by the rules of XML Schema; thus, in this document, use of the term validation includes the extra checks that go beyond common Schema-aware parsers which ensure conformance with this document. The eXtensible Markup Language, or XML, is a document syntax for marking textual information with named tags and is defined by the World Wide Web Consortium (W3C) Recommendation, XML 1.0 [XML]. The set of XML tag names and the syntax rules for their use is referred to as the document schema. One way to formally define a schema for XML documents is using the W3C standard known as XML Schema [schema]. References to specific elements and types defined in the VOResource schema include the namespaces prefix, vr, as in vr:Resource (a type defined in the VOResource schema). References to specific elements and types defined in the VODataService extension schema include the namespaces prefix, vs, as in vs:DataCollection (a type defined in the VODataService schema). Use of the vs prefix in compliant instance documents is strongly recommended, particularly in the applications that involve IVOA Registries (see [RI], section 3.1.2). Elsewhere, the use is not required. 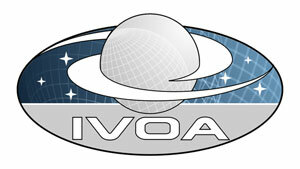 The VOResource standard [VOR] provides a means of encoding IVOA Resource Metadata [RM] in XML. VOResource uses XML Schema [schema] to define most of the XML syntax rules (while a few of the syntax rules are outside the scope of Schema). VOResource also describes mechanisms for creating extensions to the core VOResource metadata. This allows for the standardization of new metadata for describing specialized kinds of resources in a modular way without deprecating the core schema or other extensions. This document defines one such extension referred to as VODataService. The purpose of this extension is to define common XML Schema types--particularly new resource types--that are useful for describing data collections and services that access data. In particular, it allows one to describe the data's coverage: the parts of the sky with which the data are associated and the time and frequency ranges that were observed or modeled to create the data. It also allows one to describe tables in detail. In particular, one can describe each of the columns of a table--providing, for example, its name, type, UCD [UCD], and textual description. When this metadata is part of a resource description in a registry [VOR], it becomes possible to discover tables that contain particular kinds of data. This resource type declares one or more coordinate systems described using STC [STC] such that each can be assigned a globally unique identifier (based on the IVOA identifier for the resource record itself). This identifier can then be referenced in any other STC description in lieu of a fully described coordinate system. Coordinate systems described in this way become reusable standards once they are registered in an IVOA registry. Finally, the VODataService defines specialized interface type (inheriting from vr:Interface) called vs:ParamHTTP. This type is used to describe the commonly used interface that is invoked over HTTP as either a GET or a POST [HTTP] in which the arguments are encoded as name=value pairs. In addition to the access URL, it can include not only the mime-type of the returned response, it can also enumerate the input arguments that are supported by the service implementation. Much like table columns, one can indicate for each argument the name, the UCD, the data type, the units, whether it is required, and a textual description of the argument. Note that this does not capture any interdependencies between arguments. For example, it cannot indicate if one argument only makes sense in the presence of another argument.